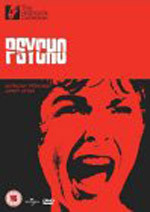 When a student moves into an old house to work on his thesis, he discovers its terrible history and must fight to avoid becoming another victim. 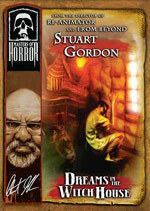 Stuart Gordon is back once again in HP Lovecraft terrotory with an adaptation of this story about a student who rents a room in a 300-year-old house that was once home to an evil witch. As its title suggests, he starts dreaming strange dreams, which feature a rat with a human face who runs up to his face while in bed, understandably freaking him out big time by telling him, "Walter, she's coming for you...". 'She' is the dreaded witch of course, and she wants our studious young character to continue in the house's tradition of child sacrifice. It just so happens that the next door room is home to a young mother and baby, but will Walter - can Walter find the strength of will to resist the witch's powers, or will he succumb and be a prisoner of the house just like old Mr. Mazurowitz downstairs? Gordon's Masters of Horror episode fares reasonably well but it's nothing special, not by any stretch of the imagination. This is one of those episodes that really suits having a shorter running time - the pacing is well measured and there's a fair amount of black humour that should keep fans of Gordon's work reasonably happy. The transition of young Walter's character plays nicely; he goes from being a dilligent student working on his physics thesis - an exploration of theories regarding time and space planes and intersections (something he can use to help fight the evil perhaps?) - and becomes obsessively preoccupied with getting to the bottom of this strange mystery. A human-faced rat...a ancient witch urging him to sacrifice kids...who's going to believe him? The story is good enough source material for Gordon - it's a project he has been keen to undertake for a while and Mick Garris' initiative has given him that opportunity but it feels devoid of any real punch, be it horror or otherwise. It's quite an ordinay little offering, and thus feels well suited to its medium. Gordon is breaking some rules here, sure, and although it's great to see envelope pushing in most genres, one feels that it could be sacrificed for some kind of real dramatic bite. 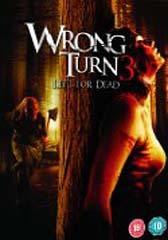 It's not like there's any individual elements that clearly don't work and at times it's even daring - a Stuart Gordon tradition - the actors all turn in decent performances for example, but it remains a struggle to accept that you've just watched an offering from, well, a Master of Horror. Wydell’s hatred doesn’t blind his logic enough for him to lose track of these natural born killers.